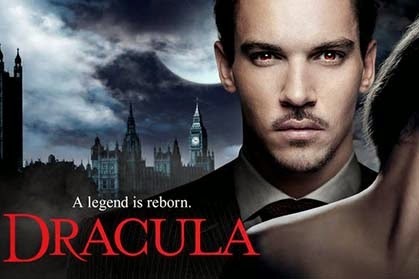 Irish star Jonathan Rhys Meyers star of "Dracula"
The 'Dracula' star Jonathan Rhys Meyers, who has been to rehab three times for alcohol addiction, is always looking for "some sort of balance" in his life, but believes his inner conflict makes him a better actor. The 36-year-old star said: "I'm cast as a bad guy because I look like one. And I can convey that sense of conflict because I'm a guy who lives with conflict a lot of the time. It's not something that I have to search for - that sense of looking for some sort of peace, looking for some sort of balance. It's evident in me regardless of what I do, so maybe it just suits the parameters of Dracula." The Irish actor has had a tough time over the past 12 months since signing on to star in the new TV series, which is produced by both NBC and Sky. He told the Sunday Independent's Life magazine in Ireland: "I've gone to two funerals. My grandfather and my best friend passed away during this production. So I went back and put them to rest. I don't get many breaks." Jonathan insists he is glad to be back on the small screen even though he needed a break after wrapping up production on 'The Tudors' in 2010. He said: "I signed on to 'The Tudors' thinking it was only going to be one season. I didn't want it to be four seasons. I didn't expect it to be. When I found out, I was slightly horrified. "Let me tell you, doing a series is like making four movies at once. You have a lot more room to explore a character, but you've got much more room to fall over on you're a**e as well. By season three of our, I was not happy doing it."